It’s interesting to note that throughout history mankind has had a strong urge to know and communicate with god. Often it was with a self-defined, wishful god; but the urge is basic. The Bible makes it clear that the one true God designed and created us for relationship with Him. It would make sense that this urge was “built-in” by God. Would a God this urgent for a relationship with me put up high achievement requirements that must be met before the relationship can begin? Is God willing to have a friendship relationship with me just as I am? In the Bible—God’s book about Himself—Jesus, the Christ, claims that His mission was here to reveal the loving goodness of God the Father. Jesus made no requirements, put up no barriers to friendship and never talked about any required by Father God. “Goodness” was never a prerequisite to getting to know Him. However, "goodness" was promised as a gifted result of a relationship with God. There’s a small book written around the turn of the 20th century about getting to know God and is still in print. It’s entitled Happiness Digest(originally titled Step to Christ), by E. G. White. See if these insightful couple of paragraphs are helpful. Many are the ways in which God is seeking to make Himself known to us and bring us into communion with Him. Nature speaks to our senses without ceasing. The open heart will be impressed with the love and glory of God as revealed through the works of His hands. The listening ear can hear and understand the communications of God through the things of nature. The green fields, the lofty trees, the buds and flowers, the passing cloud, the falling rain, the babbling brook, the glories of the heavens, speak to our hearts, and invite us to become acquainted with Him who made them all. God speaks to us through His providential workings and through the influence of His Spirit upon the heart. In our circumstances and surroundings, in the changes daily taking place around us, we may find precious lessons if our hearts are but open to discern them. The psalmist, tracing the work of God's providence, says, "The earth is full of the goodness of the Lord." "Whoso is wise, and will observe these things, even they shall understand the loving-kindness of the Lord." Psalm 33:5; 107:43. The Bible was not written for the scholar alone; on the contrary, it was designed for the common people. The Bible does not teach that the sinner must repent before he can heed the invitation of Christ, "Come unto Me, all ye that labor and are heavy-laden, and I will give you rest." Matthew 11:28. It is the virtue that goes forth from Christ, that leads to genuine repentance… We can no more repent without the Spirit of Christ to awaken the conscience than we can be pardoned without Christ. This seems to suggest that God has already gone much more than half way to establish a loving, friendship relationship with any and every human being. Even an unrepentant sinful condition is no barrier to getting to know God. Isn’t it exciting to know that there is nothing standing in the way of getting to know God as a personal friend? And as suggested in the book Happiness Digest, that the Bible is full of “How To” answers. Actually this book is a summary of what the Bible says about getting to know God. 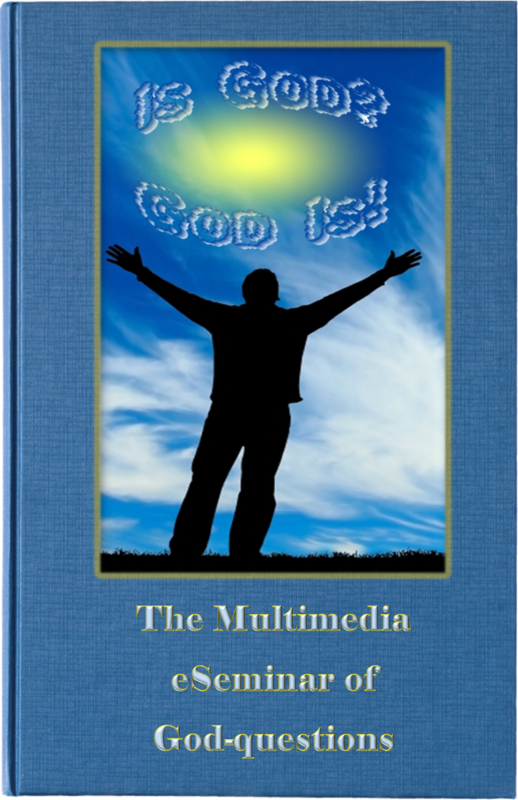 In Depth Answers - How Can I Know God?